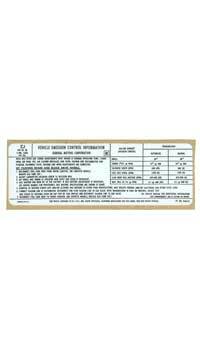 Vehicle tune-up & emissions control decal, engine code ZJ, all w/454 California. Located on firewall behind the master cylinder. This decal shows tune-up and emissions specifications. Paragon has completely reprinted this decal using General Motors blueprints and type style.